American Cancer Society Relay For Life 5K. 7:00am CT. Sneads Park, Sneads, Florida. Online registration at active.com. Dawn Sullivant, dawnsunriserealty@yahoo.com or 850-209-2157. Shamrock Scurry 5K and one-mile fun run. 8:00am one mile / 8:30am 5K. Killearn United Methodist Church, 2800 Shamrock South, Tallahassee, Florida 32309. Online registration at active.com. Connie Clark, rclarke54@comcast.net or 850-933-2429. Run for Babies 10K/5K. 8:30am CT. Panama City Marina, 1 Harrison Avenue, Panama City, Florida. Online registration at active.com. Fit for Life 5K and Fun Run. 8:00am ET 5K / 9:00am ET fun run. Springhill Christmas Tree Farm 795 Woodhull Road, Bainbridge, Georgia. Online registration at active.com. magsbridges@yahoo.com. Torreya State Park 5K. 9:00 am ET. Torreya State Park, 2576 NW Torreya Park Road, Bristol, FL 32321. Online registration at active.com. Susan Chafin (850) 643-2415. Azalea Festival 5K and one-mile fun run. 8:00am ET one mile / 8:30am ET 5K. Valdosta State University Recreation Center, 1500 Sustella Avenue, Valdosta, Georgia 31698. Entry form and flyer. Online registration at active.com. Sirocus Barnes, sirocus.barnes@mchsi.com or 229-333-1861. Florida Sheriff's Youth Ranches, Marathon, Half Marathon, 10K, 5K, and 1500m kids run. 7:30am ET. Florida Sheriff's Boys Ranch, 1813 Cecil Webb Place, Boys Ranch, FL 32060. Event web page. Entry form. Online registration at active.com. Chris Carusone, 941-799-7184. Sneads Project Graduation 5K. 7:00am CT. Sneads Park on Lake Seminole, Sneads, Florida. Online registration at active.com. Don't Run With Scissors 5K and one-mile fun run. 8:00am ET 5K / 9:00am ET one mile. Sallas Mahone Elementary 3686 Lake Laurie Drive, Valdosta, Georgia. Event web page. Entry form and flyer. Paul Brown, 229-333-8530. Second annual Pilot 5K for Brain-Related Disorders. 7:00am CT. Frank Brown Park, 16200 Panama City Beach Parkway, Panama City Beach, Florida. Online registration at active.com. St. Patty's Day 5K, 10K, and one-mile fun run. 9:00am CT. Fort Rucker Physical Fitness Center, Building 4605 Andrews Avenue, Fort Rucker, Alabama. 334-255-3794. Darton College Go Global 5K and one-mile fun run. 9:00am ET 5K / 8:30am ET one mile. Darton College Tennis Pavilion, Darton College, Albany, Georgia 31707. Entry form and flyer. Online registration at active.com. David Mann, david.mann@darton.edu or 229-317-6588. "Five-A-Day" 5K Trail Run. 8:00am CT. Westgate Park, 801 Recreation Road, Dothan, AL 36303. Event web page. Beth Battle (334) 794-5000 ext. 7393. National Mayhaw Festival 5K and one-mile fun run. 8:30am ET. Colquitt Freewill Baptist Church 319 Grow Street, Colquitt, Georgia. Entry form. Dr. Russ Henley 229-758-8500 or Anthony Cobb 229-758-3316. Brian Dowling Memorial 5K Trail Run. 8:00am CT. Westgate Park, 801 Recreation Road, Dothan, AL 36303. Event web page. Larry Dykes, 334-792-602. Run for Autism 5K. 8:00am CT. Pier Park, 600 Pier Park Drive, Panama City Beach, Florida. Online registration at active.com. Ninth annual Tallahassee Tails & Trails 10K, 5K, and one-mile fun run. 8:30am ET. Tallahassee-Leon County Animal Service Center, 1125 Easterwood Drive, Tallahassee, Florida 32311. Event web site. Online registration at active.com. Second Annual Moultrie Technical College Classic 10K, 5K, and one-mile fun run. 7:30am ET 5K and 10K / 9:00am ET one mile. Moultrie Technical College, 800 Veterans Parkway North, Moultrie, Georgia 31788. Event web page. Entry form and flyer. mDarbie Avera, davera@moultrietech.edu or 229-891-7000. A year after finishing runner-up in the 2009 Race Judicata 5K, Luke May returned to win the 2010 race, covering the course in 17:34. In the women's division Kirsten Hagen got her first win on the Tallahassee roads for 2010, finishing as top women at 19:20 and fourth overall. The 14th annual event was run on the Florida State University campus on Sunday morning, 21 February 2010, starting and finishing near the FSU College of Law. The race started more than a few minutes after the scheduled starting time of 9:00am. Early in the run Luke May, Thomas Barton, and Nathan Paulich went to the front of the field. By the end of the first mile, though, Paulich fell back, no longer able to hang with May and Barton. May continued to push the pace and dropped Barton on the second mile. May ran the rest of race alone, his winning time of 17:34 well over a minute faster than his 18:51 on the same course last year. Barton hung on to finish second, over 300 meters back in 18:25. Paulich was third in 18:46. Behind them Kirsten Hagen had dominated the women's competition, leading from the very outset. Molly Drake, the women's runner-up, finished over half-a-mile behind Hagen, running 23:12 for 12th overall. Hagen is a former Florida State University distance runner (2005-2009). Drake ran cross country at Maclay School (c/o 2002). 64 runners finished the 2010 Race Judicata 5K. The 14th annual event was hosted by the FSU Women’s Law Symposium as a benefit for Refuge House, a shelter for battered women. 176 runners left Woodville, Florida's J. Lewis Hall Park to run the 22nd annual Flash 12K on the chilly morning of 20 February 2010. The first to return to the park and the finish line was Daniel Lee, a narrow victor over Maclay assistant coach Stephen Cox, 41:57 to 41:59. The top woman was Sheryl Rosen, who finished 11th overall in 47:12, over 300 meters ahead of her nearest female challenger, Lisa Johnson. By the end of the first kilometer, a group of six runners had seized the lead--Daniel Lee, Stephen Cox, Vince Molosky, Tony Guillen, defending champion Jay Wallace, and Gary Droze. The six proceeded to run away from the field. After three kilometers, Wallace could no longer hold the pace set by the leaders and fell out of the group. At four kilometers Droze decided that he'd had enough for the morning and dropped out of the race. That left Lee, Cox, Molosky, and Guillen, pursued by an ever more distant Wallace. Through ten kilometers four leaders ran together as a tight group, sharing the lead, no runner able to break away from the other three. Then on the eleventh kilometer Cox and Lee opened a gap. Guillen fell back. Molosky tried to give chase but failed. The race belonged to one of Lee or Cox now--it was a battle of surge and counter-surge as they fought for the title. At the final turn into the park, though, Lee had won a few steps on Cox, and that was enough to get him across the finish line first. Molosky held on to finish third in 42:29, while Guillen was fourth and first master in 42:36. In the women's competition Rosen and Johnson went to the front early and ran together through four kilometers. After that, though, Rosen took command of the race. By the end of six kilometers Rosen led Johnson by 50 meters, a gap that she continued to widen. Rosen went on to win top woman honors, while Johnson had to settle for runner-up, finishing 16th overall in 48:25. The third woman finisher and top woman master was Thomasville's Mary Anne Grayson, who crossed the line 30th overall in 51:51. For the second year the Flash also included a 6K event, won by Ben Kail in 24:43. Runner-up Tad David was the top master in 25:05. Rachel Phipps was the first woman across the line, eighth overall in 31:35. The top woman master was Alyson Hornby-Prichard, the 21st finisher in 34:48. After 21 years of race direction by Joe Dexter, Mark Priddy took his first turn at directing the race this year. The Flash 12K was originally run near Chaires in eastern Leon County, but has since moved to a course on the northernmost section of the Tallahassee-St Marks Historic Rail Trail, which is about as flat as anyplace you'll ever find to run. The race is named after the DC Comics character "the Flash" (the 1960s and later version who wore a red bodysuit and not the 1940s version who wore a helmet like the FTD man). Time-Warners' lawyers still haven't contacted the Gulf Winds Track Club about the name, a good thing for all parties concerned. Hope For Haiti 5K. 2:00pm CT. Citizens Lodge Park, 4577 Lodge Drive, Marianna, Florida. Online registration at active.com. Second Annual Moultrie Technical College Classic 10K, 5K, and one-mile fun run. 7:30am ET 5K and 10K / 9:00am ET one mile. Moultrie Technical College, 800 Veterans Parkway North, Moultrie, Georgia 31788. Event web page. Entry form and flyer. Darbie Avera, davera@moultrietech.edu or 229-891-7000. Glancing at the Road Runners Club of America's Club Running magazine for Fall/Winter 2009, I noticed Brooke Nelson's report on the RRCA National 5K Championship. What caught my eye was the description of Anniston, Alabama's Woodstock 5K as "one of the oldest footraces in the south." Now, "one of the oldest" isn't very specific. I don't know how any older races there have to be before your race isn't one of the oldest, but in Nelson's book it must be quite a few. Limiting myself to road races (after all, this was in a Road Runners Club of America publication), from where I am writing in Tallahassee, Florida, there are several races senior to the Woodstock 5K. Last month was the 33rd annual Gulf Winds Track Club 30K. Just over a week ago the 36th annual Tallahassee Marathon was run. In March the 35th annual Springtime 10K will be run in downtown Tallahassee, and in April the 36th annual Palace Saloon 5K takes place near Florida State University. At the end of April the 33rd annual Rose City Run 10K is scheduled just up highway 319 in Thomasville, Georgia. Later in the year, the Boston mini-Marathon (not to be confused with another race of similar name) will celebrate its 31st running. Tallahassee will host its 35th annual Turkey Trot and 31st annual Ultradistance Classic in 2010. I make no claims that these are the "oldest footraces in the south." I'm just pointing out that without doing any research I can find a heap of events older than a sprightly 29 years. How many years away from being the oldest is the Woodstock 5K? We'd first have to know which race was the oldest in the south before we could answer. But a rather large 10K, the Peachtree Road Race, was first run in 1970, over a decade before the inaugural Wooodstock 5K in 1981. Meanwhile, Peachtree is not even the oldest road race in Atlanta--the Atlanta Marathon was first run in 1963 (one of the ten oldest marathons in the United States according to the Atlanta Track Club). That's old enough to be the Woodstock 5K's father. There may or may not be an older road race in the south, but the Atlanta Marathon already puts the Woodstock 5K an entire generation away from being eldest. Can it still be "one of the oldest?" Looking for the oldest road race in the south may be totally irrelevant in looking for the oldest footrace in the south. For years any event at the venerable Tuskegee Relays (founded 1927) would have been much older than the road races I've mentioned. The same is still true for the Florida Relays. Just about any state's high school cross-country championship is going to be over halfway to the end of its first century. I'm not knocking the Woodstock 5K, which is a fine event. Indeed, it was named RRCA's 2007 Road Race of the Year. I raced in Anniston in the spring of 2009, and I was impressed with the amount and quality of preparation the Anniston Runners Club had already made to host a national championship. My problem is with journalists who carelessly fling about phrases like "one of the oldest footraces in the south." It's Lake and Hines for all the cookies! Chris Lake almost immediately leapt to the front of a field of over 400 runners, and continued to lead all the way to the finish line at the "Run For The Cookies" 5K on 13 February 2010. Lakes winning time in the 18th annual event was 16:27. Stanley Linton and Trevor Touchton chased Lake early, but by the end of the first mile they had been overtaken by Stephen Cox, who went on to finish second in 16:45. Touchton hung on to finish third in 17:33, while Linton faded to fifth in 18:57, just ahead of the top male master (over 40) runner, Tim Unger, who was sixth overall in 19:08. Meanwhile, Amy Hines was moving up through the field to finish as the top woman, fourth overall in 18:11. Hines finished almost 600 meters ahead of her nearest challenger for women's honors, Mary Anne Grayson of Thomasville, Georgia. Grayson was the top woman master (over 40) runner, crossing the line in 20:35. The "Run For The Cookies" 5K is a benefit for the Girl Scout Council of the Florida Panhandle. Since 1993 the event has been directed by Jeanne O'Kon and Tom Perkins. Entrants in the 5K each get a box of Girl Scout cookies, and the age group awards are boxes of Girl Scout cookies. Weather for the 2010 event was cold and clear. 433 runners finished the 5K, somewhat lower than the 2009 tally of 550 finishers. Tallahassee's annual "Run For The Cookies" 5K is tomorrow (Saturday, 12 February 2010) at 9:00am, starting from Tallahassee Community College. In addition to the usual raceday T-shirt, each entrant gets a box of Girl Scout cookies. The race was founded in 1993 by Jeanne O'Kon and Tom Perkins, who just might have been a bit desparate from trying to unload all of their daughter's Girls Scout cookies. It was a good enough idea that the race has not only been around for eighteen years, but has been imitated by the "Thin Mint Sprint" 5K races in various cities. Surely, running five kilometers entitles you to eat a box of cookies, right? Well, let's look at a box of Samoas, one of the two most popular cookies sold by the Girl Scouts of America. Actually, "popular" is a weak word to use for Samoas. They are addictive. NATO should be dropping cargo containers full of Samoas into the rugged borderlands between Afghanistan and Pakistan; after three months a unit of marines could go in with handtrucks and wheel the obese Jihadis to justice. But glancing at the nutritional information on a box of Samoas we see that the serving size is two cookies (yeah, right), and that there are seven servings in a box and 150 Calories per serving. That makes 14 cookies in the box at 75 Calories per cookie for a total of 1050 Calories. Now it's hard to say how many Calories a runner uses in covering a mile. A heavy athlete thundering along at five minutes per mile might need over 100 calories for that mile, while a petite runner jogging at a much slower pace might use half of that. Let's come down in the middle so we can say that it's one cookie per mile. Five kilometers is only 3.1 miles, so the race doesn't put us close to "earning" our box of cookies. Of course, you'll put in a few miles doing a good warm-up and a post-race recovery jog, but you would still have only done six or eight cookies worth of running, short of the 14-cookie box. Better save some for later, or plan on another run in the afternoon. It's actually good that you can run so far on so few cookies, otherwise distance runners would have to be eating continually, grazing like cows. Marathoners would have to run with camelbacks full of GU, and aid stations would have to pass out water, Gatorade, and cheeseburgers. 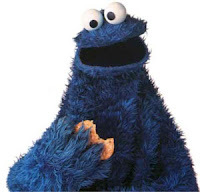 So do the "Run For The Cookies" 5K on Saturday, but save some of your Samoas for later. 13th annual Sweetheart Run 5K and one-mile fun run. 9:00am ET 5K / 9:45am ET one mile. Rehabilitation Services of Tifton, 1488 Old Ocilla Road, Tifton, Georgia. Entry form and flyer. Cindy Spurlin, cindyrst@yahoo.com or 229-386-5200. Going back more years than I care to remember, I've been part of a group staffing a water table during the Tallahassee Marathon. We usually had a table near the ten-mile mark, although the ten-mile mark jumped from Tram Road to Innovation Park to Dublin Downs to Killearn Estates over the years as different race directors tried out different courses. In recent years we've drawn the post at the Capital Circle (US 319) trailhead of the Tallahassee-St Marks Historic Rail Trail, which is near the eight- and the eighteen-mile marks of the out-and-back Marathon course. For the 2010 race, Tom Thomas, Lucinda Thomas, Deborah Glotzbach, Gene Glotzbach, Judi Taber, and myself volunteered to work the table. I told everyone that by arriving at 8:00am we could be ready for the lead runners. So at 7:00am I was at "Bruegger's" buying bagels for the team. Fifteen minutes later I was on the Florida State University campus to watch the 7:30 start of the Marathon (which happened at 7:34). I carefully chose a parking spot where I wouldn't have to cross the course when I left. Everything went well, and I was able to see the leaders complete the first two kilometers before leaving for our station. I felt good about arriving at the trailhead by 7:55, until I saw that the Tom, Debbie, and Gene were already there and had set everything up. Thanks for making me look like a slacker, guys. I unloaded the bagels, cream cheese, doughnuts, juice, cola, and beer. Yes, beer. We're the marathon's self-appointed beer station. Judi showed up, and we settled down to wait for the runners. The wheelchair athletes came through first, brushing off aid. A few minutes later the leader of the marathon, James Kiptoo Cheruiyot, passed us, chanting "No, thank you; no, thank you" in response to our cups. About five minutes later the pursuit pack arrived. "How many are ahead of us?" called out a runner in the group. "And he's moving fast!" added Debbie. After that we were busy handing out water, Gatorade, GU, and the occasional Miller Lite. Eight miles doesn't allow much time for the field to spread out, but our traffic load was easier than the earlier aid stations, which also had to serve the half-marathoners. There were a few takers for beer, but more marathoners asking us to save one for them on the way back. A New Orleans Saints fan arrived to cheer for her husband, and decided to help us out till he passed by one the way back. Eventually, the last outgoing runner passed us by and we had a short break while waiting for the first returning runner. The wheelchair athletes rolled by silently on their way back to the finish line. Our next visitor was Cheriuyot, running swiftly, smoothly, and with a series of "No, Thank Yous" as he strode by us. If anything he was even farther ahead of his pursuers--now a pack of four runners, Orthinal Striggles, Justin Gillette, Sergey Kaledin, and Thomas Tisell. Barring a breakdown by Cheruiyot, those four marathoners were competing for second. Cheruiyot did hold on to win in 2:26:50, while Striggles was the best of the rest at 2:34:04. Meanwhile we had an aid station to run. The returning marathoners were more spread out than on the way out, so work was less hectic. Things settled down to a rhythm. One of the runners coming back was a very lost half-marathon runner. All of the half marathoners were supposed to turn around a mile before they got to us, but Elizabeth Nelson had missed the turnaround and run past our station before figuring out that she had gone too far. If you see her listed as 505th in the half-marathon at 3:10:38, keep in mind that she actually ran three-fourths of a marathon--making her the first (and only) runner to complete that distance. The trailhead also seems to be a favorite spot for people to drop out. In 2009 Sheryl Rosen stopped at our station on the way back and asked for a ride back to Florida State. This year all David Altmaier wanted from us when he dropped out was to borrow a mobile phone. Todd McMillan obliged him. Jacque Meyer, who had dropped by the trailhead to watch the race, was less than supportive of Altmaier's decision. "Come on," she urged, as Altmaier tried to make his phone call. "It's only seven miles to the finish. You can do it. Just seven miles!" But Altmaier had already gone three miles farther than he wanted, and was done for the day. Some time later his ride arrived and he was gone. Quite innocently, we asked the Saints Fan for her husband's name, which she was happy to supply to us--Evan Thomas. "There he is," she pointed out when he arrived. "GO EVAN!" "COME ON, EVAN!" "GOOD JOB, EVAN!" "GO GET IT, EVAN!" "HOORAY, EVAN!" Evan had no idea what he had done to deserve such a rabid cheering section, but he didn't seem to mind. As noon approached the marathoners got slower and farther apart. Eventually all 200-plus runners had gone by and it was time to pack up--and pick up all the discarded cups and phlegm-coated half-empty GU packets. Philip Munoz picked up our equipment and the party was over--till next year. At tonight's (Tuesday, 9 Feb 2010) meeting, the Leon County School Board will recognize the Leon High School boys' cross-country team, which won their third straight state title last November. The Board will also recognize Leon High School senior Matt Mizereck, who won his third straight individual state championship in November 2009. The school board meets at 6:00pm in the back conference room of the Aquilina C. Howell Instructional Services Center at 3955 West Pensacola Street. The meeting will be televised on Comcast channel 23. "For the third straight year, the Leon High Boys Cross Country Team is the Class 3A state champion. Team champions are: Matt Mizereck, Will Stanford, Riley Doherty, John Hazleton, Tyler Teagle, Will Henderson, and Ben McMahon. Their head coach is Andrew Wills. Assistant coach is Don Stanford." "For the third straight year, Matt Mizereck is the Class 3A individual state champion from among 186 competitors. Matt is a graduating senior at Leon who will attend the University of Florida on scholarship."